The art of brewing doesn't stop at the usual ingredients: barley, hops, yeast, and water. In fact, the origins of brewing involve a whole galaxy of wild and cultivated plants, fruits, berries, and other natural materials, which were once used to make a whole spectrum of creative, fermented drinks. 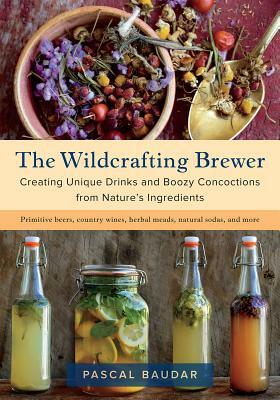 Now fermentation fans and home brewers can rediscover these "primitive" drinks and their unique flavors in The Wildcrafting Brewer. Wild-plant expert and forager Pascal Baudar's first book, The New Wildcrafted Cuisine, opened up a whole new world of possibilities for readers wishing to explore and capture the flavors of their local terroir. The Wildcrafting Brewer does the same for fermented drinks. Baudar reveals both the underlying philosophy and the practical techniques for making your own delicious concoctions, from simple wild sodas, to non-grape-based "country wines," to primitive herbal beers, meads, and traditional ethnic ferments like tiswin and kvass.